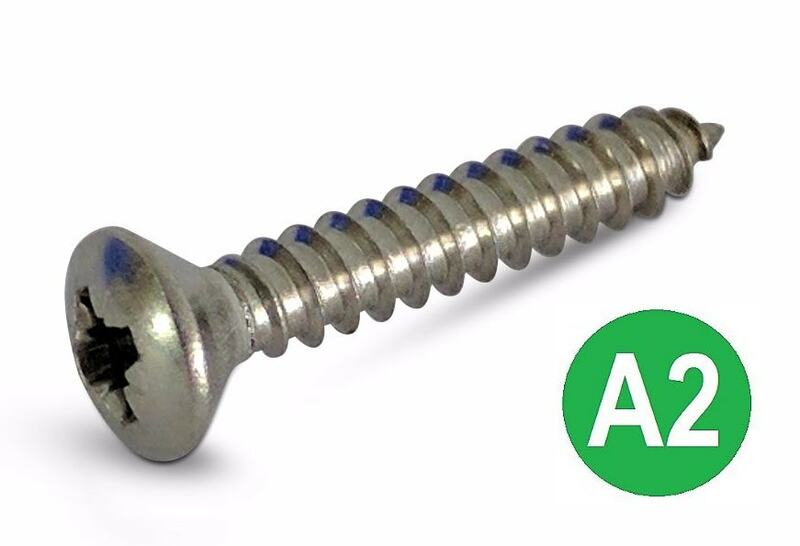 A range of stainless steel raised head self tapping screws, in A2 (302) stainless steel and A4 (316) marine grade stainless steel. 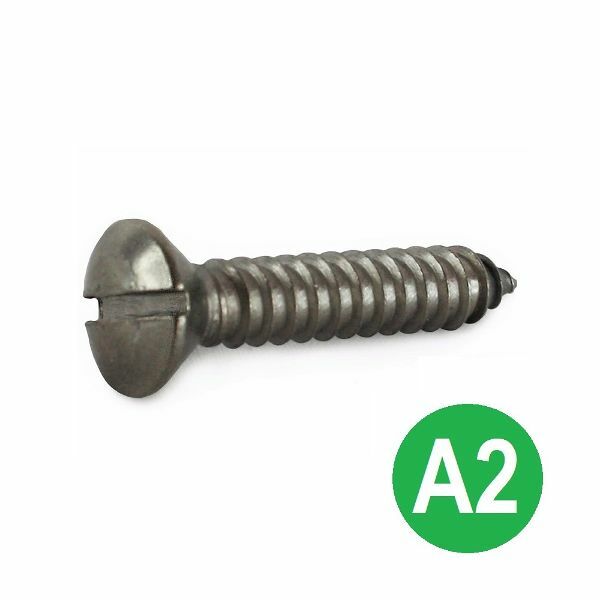 Ideal for fixing into metals and hard plastics. Pozi, torx and slotted head options available. Also commonly knows as raised countersunk head and oval head.